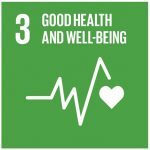 3: Better health and well-being. She for She supports the health and well-being of girls and women during menstruation. Many globally use materials such as corncobs, fabrics, mattress pieces, etc. as pads/tampons when they menstruate as they cannot afford hygiene products. She for She reusable pads decrease the number of women getting infected by the alternative materials they use. 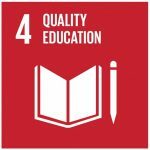 4: The lack of menstrual products can cause students emotional stress. Students who can’t access pads often can’t concentrate in class, risk bleeding through their underwear, and are forced to miss class or school altogether, falling behind on lessons and grades. Reducing the stress of menstrual management for female students may enhance their ability to concentrate on schoolwork and improve the quality of education. 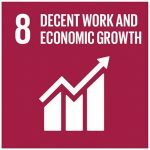 8: Decent employment and economic growth through creating sustainable jobs with good working conditions as well as a stable income that support women’s’ independence and empowerment. 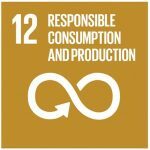 12 & 13: Responsible consumption & production as well as climate responsible. 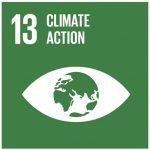 She for She supports reducing environmental waste by producing reusable pads that can be used for up to 2 years, and as such we are supporting overall society to become more environmentally friendly.